The company went on a whirlwind venture capital campaign that saw $7 million USD raised. Many of us are familiar with keycards, badges, scanners and other forms of building access hardware. But what if you could use your smartphone instead? Openpath Access is a new system designed by Openpath to do just that. Openpath Access is designed to “meet the needs” of today’s employees, business owners, and facilities managers. The company went on a whirlwind venture capital campaign that saw $7 million USD raised. Openpath co-founders Alex Kazerani and James Segil most recently co-founded EdgeCast Networks, a global content delivery network that grew to over 1,000 employees in ten years, resulting in several office expansions as well as international branch openings. Traditional access control was a major pain point for the founders during this period of rapid expansion, and the experience inspired them to build a smarter security system for the modern workplace. Unlike traditional systems, Openpath Access is cloud-based, meaning it easily scales with the business and seamlessly integrates with platforms like G Suite and Office 365. 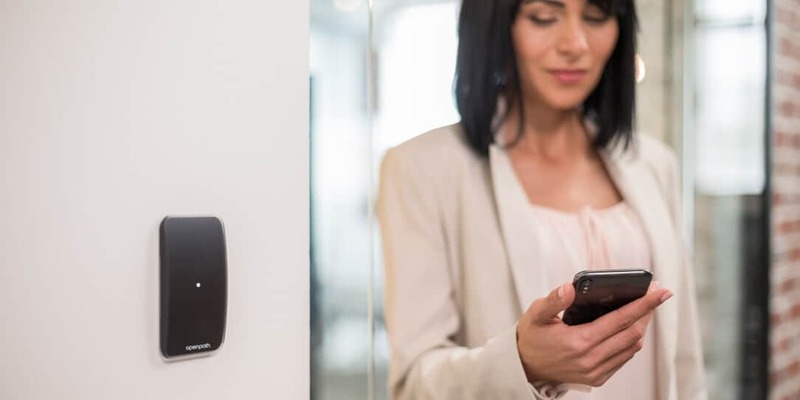 Patented SurePath Mobile technology ensures reliability and quick entry via Bluetooth, Wi-Fi and LTE, while encryption shields against cloning, sniffing and key copying. The system gives administrators more control than ever before with scheduled locking, custom zones, user-level permissions and lockdown capabilities. If you’re interested in this new technology, check out the Openpath website for more information. What do you think of Openpath Access? Let us know in the comments below or on Google+, Twitter, or Facebook.